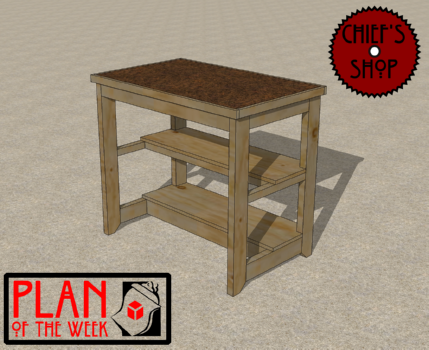 The Chief’s Shop Storage Tool Stand offers two recessed shelves for supporting supplies or small tools. The position of these shelves allow more “toe room” (a small stool can fit as well) than you might have with other tool stands, allowing you to stand closer to the work surface. This comes in handy for detail projects.